Seagate's packing an 8TB hard drive in its new external Backup Plus Hub, which can be hooked up to a Raspberry Pi 3 or Chromebooks for expanded storage. The external backup drive will also work with Windows PCs and Macs, and it'll be available in July. It will come in multiple versions with capacities ranging from 4TB to 8TB. A capacity of 8TB will be a welcome addition to Chromebooks and Raspberry Pi 3, which have internal storage issues. Chromebooks have limited internal storage capacity, while Raspberry Pi 3 requires an SD card to store files. The 8TB capacity is especially valuable to Raspberry Pi 3, which is commonly used as a media server. You can store more high-definition movies on the drive, which can be served to TVs via the Pi. The storage capacity of Backup Plus Hub handily beats that of PiDrive, a Western Digital hard drive for the Raspberry Pi, which tops out at a capacity of 1TB. Not all hard drives work with Raspberry Pi as they need to meet specific electrical requirements. 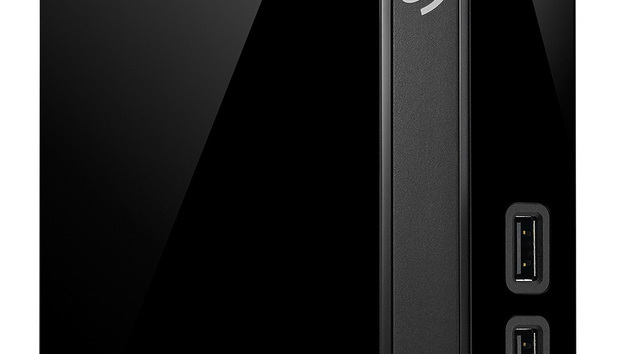 As the product name indicates, the Seagate product can also be a hub. It has USB 3.0 ports that can be used to charge devices. Android and iOS mobile devices can also be attached to those ports to backup data. The 4TB hub will sell for US$139.99, the 6TB for $199.99 and the 8TB for $249.99. Brandon Faber (Africa) - Dude, Where's My Data?